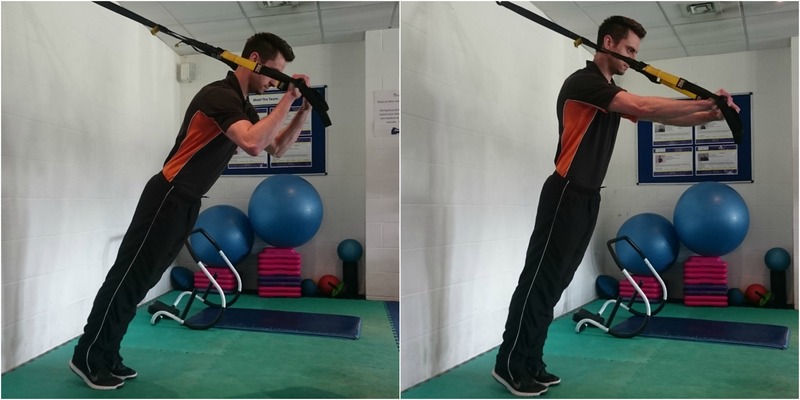 This exercise focuses on increasing your stability and strength in your abdominals as well as your shoulders. Simply place your feet into the cradles so that you’re in a plank/press up position. Be sure to squeeze your core whilst you bend your knees and your hips towards your torso. Slowly return back to your starting position with as much control as possible. Repeat these 10 times for 2 sets. 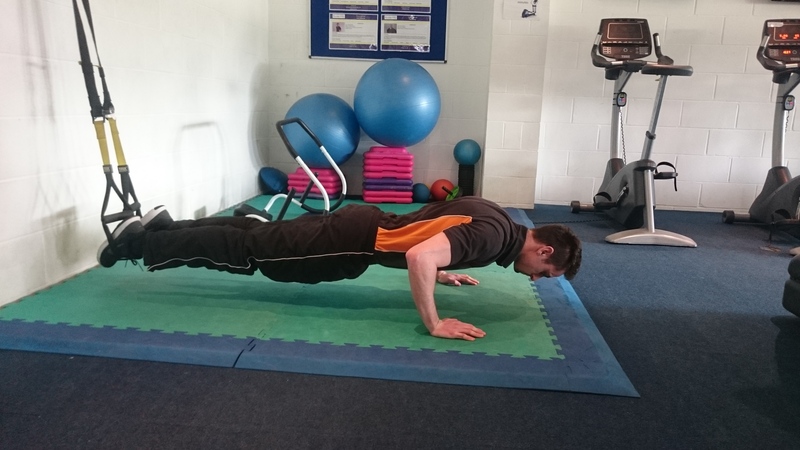 This exercise is great for building up your arm strength as well as your core. Lie down, facing up with your knees bent and press your feet firmly into the floor. Get a good grip on the handles and hold them just over your chest with your palms facing inward. Begin to pull your torso up with control until your whole body is aligned (shoulders to knees) and then return to your starting position with control. Repeat 10 times for 2 sets. Improve your overall agility and reaction times with this move. Stand up and lean forward into the straps, getting a firm grip on the handles. Hold your left arm in place by your chest and extend your right out to the side before returning it to start. Now repeat with the other arm. Repeat 20 times (10 each arm) for a set. Get back down on the floor, it’s time for push ups. 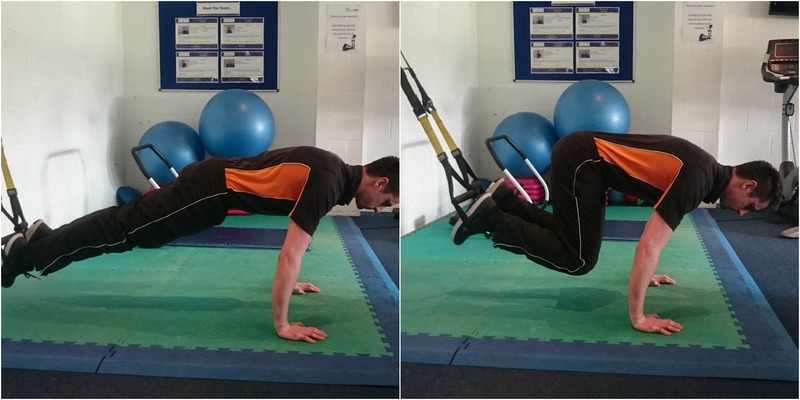 These are slightly more challenging than your usual press up as you’re using your core and arms more. Make sure the straps are up at mid-calf when you’re standing so that they’ll be high enough to align your body whilst you’re in a plank position. Do 10 press ups for three sets, making sure to keep control and lower your chest by bending the elbows. Time to focus on your triceps. 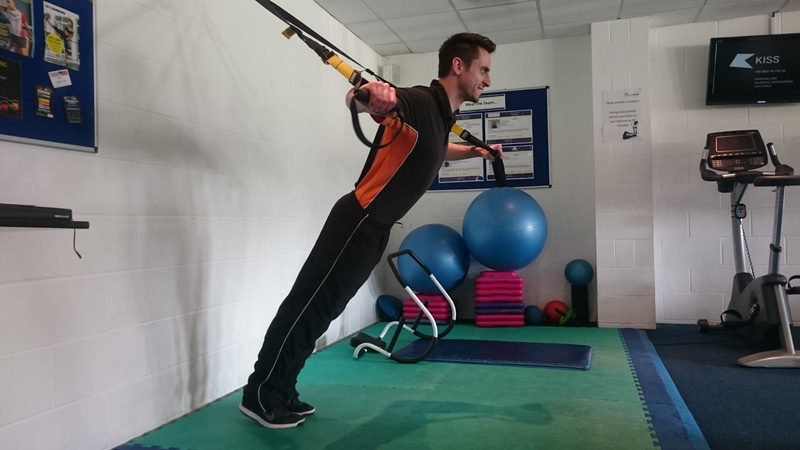 Lean into the TRX whilst standing and hold the handles up by the sides of your head, so that your elbows are facing forward. Extend your arms forcefully until they are straight before returning to the first position. If this one burns, you’re doing it right! Repeat for 10 for a set. 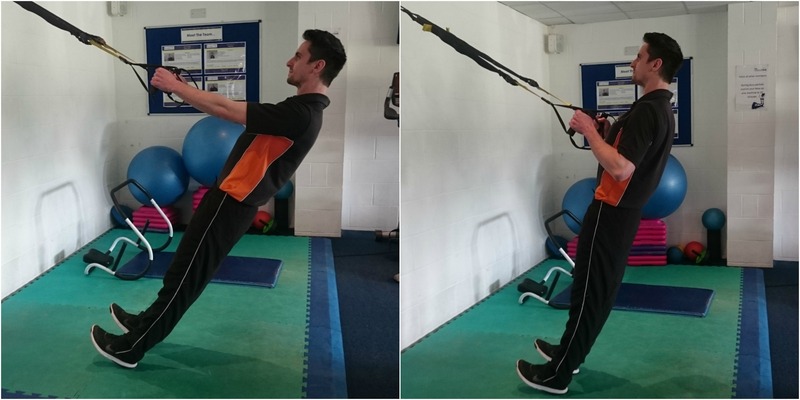 What’s your favourite TRX move? Let us know on our Facebook page.